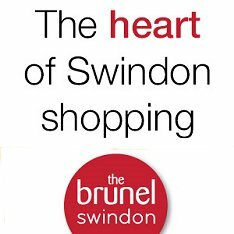 The people of Swindon gathered today, to pay tribute to the latest casualties of the war in Afghanistan. 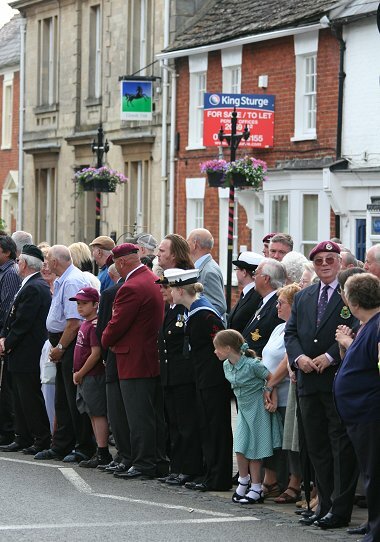 Over 300 people of all ages lined the streets of Wootton Bassett to witness the procession of five hearses as they carried the bodies of five paratroopers from the chapel at RAF Lyneham to the John Radcliffe hospital in Oxford. 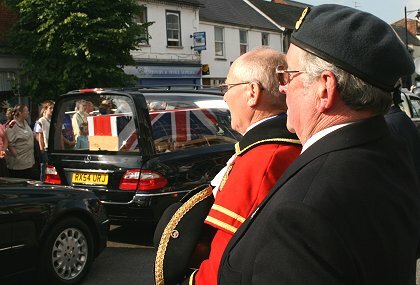 With the Union Jack flag draped over every coffin, war veterans and local dignitaries saluted the war heroes, who were tragically killed in two attacks in Helmand Province last week. The soldiers - all from the 2nd Battalion of the Parachute Regiment - Privates Nathan Cuthbertson and Charles Murray, both 19; Private Jeff Doherty, 20; Lance Corporal James Bateman, 29; and Private Daniel Gamble, 22 were the victims of Taliban suicide bombers while on routine patrols. 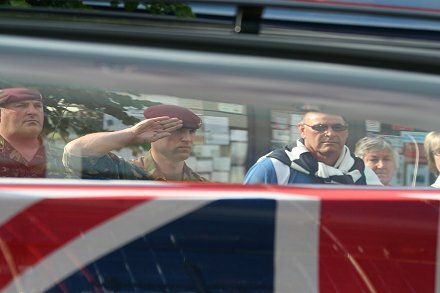 "It's another very very sad day," commented Wootton Bassett Mayor Mike Leighfield. "We have had over 40 processions of this kind in the last year, and every one becomes more poignant." 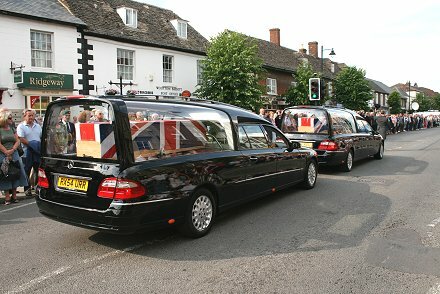 The procession comes on the day Prime Minister Gordon Brown and US President George Bush announced more troops were being sent to Afganistan to combat a resurgent Taliban contingent. A decision, one war veteran, who witnessed today's sad event, described as "totally ridiculous and ill thought-out".